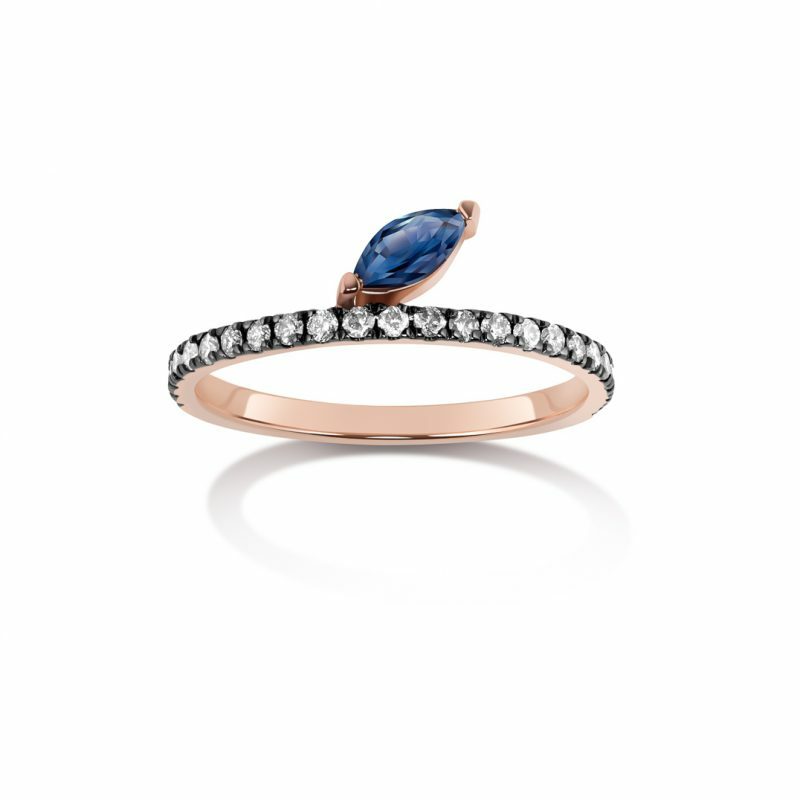 The Defne Pave Ring with Sapphire Marquise and Grey Diamonds is available in 14k yellow, rose and white gold. The ring features an offset sapphire marquise against a band of grey diamonds which feels like stars twinkling in an inky night sky. Part of the Marquise Styles collection by Selin Kent. Hand-crafted by artisans in New York, each piece of Selin Kent Fine Jewellery is made using responsibly sourced precious metals and stones, ensuring a commitment to the finest quality craftsmanship and a minimal environmental impact.